[viii]+384 pages with diagrams and index. 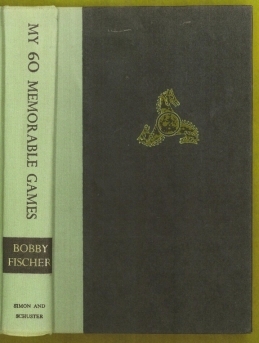 Octavo (8 3/4" x 5 3/4") issued in two tone green and black with black and gilt lettering to spine and gilt Knight vignette on cover. Introduction by Larry Evans. (Lusis: 1260). 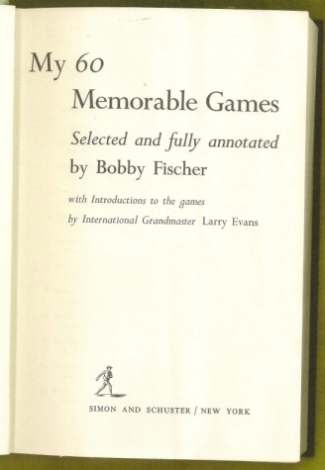 First edition in a first state jacket. Light soiling, light rubbing to extremities. 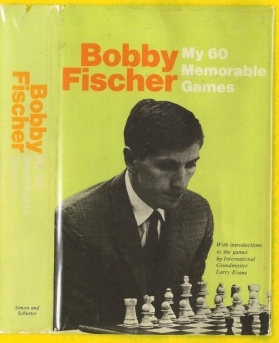 Jacket lightly soiled, spine ends lightly chipped with small tears, edge wear with tears and small chips else a very good copy in a very good first state jacket with Israel tournament listed as the last tournament listed on back.